And this is the tree called the boojum, described by some as an upside-down carrot, and named after Carroll's character so strange. 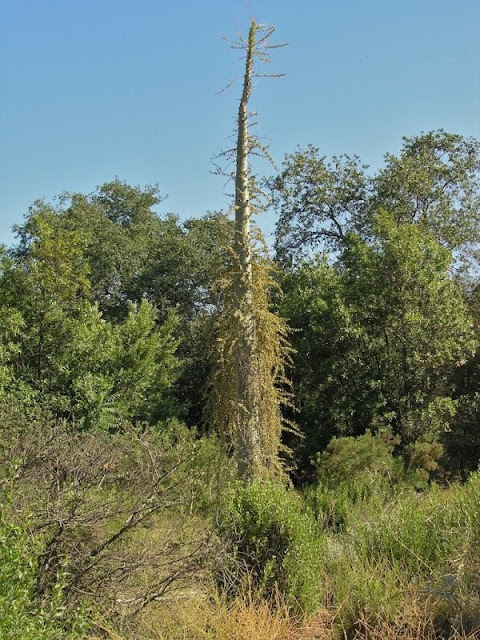 Found only along the Baja coast of California, Fouquieria columnaris sells for as much as $1000 per foot. Curious and curiouser. I think I have never met a Boojum, or perhaps I have somewhere along the Baja and not realized it's $1000 per foot value. Such is the price of ignorance. $1000 per foot! And here's me thinking, 'well only a mother could love that one'. Interesting how people will value novelty over beauty. Just found your site and am romping through it! Wondrous information and wish I'd found you years ago...great reading, super history!